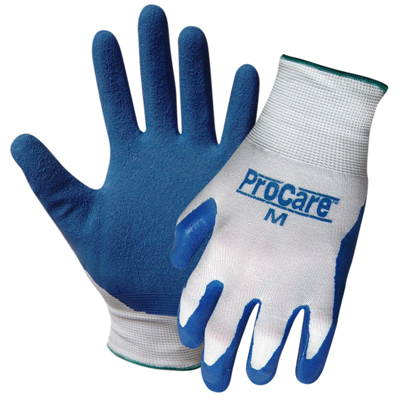 Home>Hand Protection Products>Coated, Laminated & Dipped Gloves >ProCare™ Lightweight Palm-Coat Rubber/Sold by the dozen. 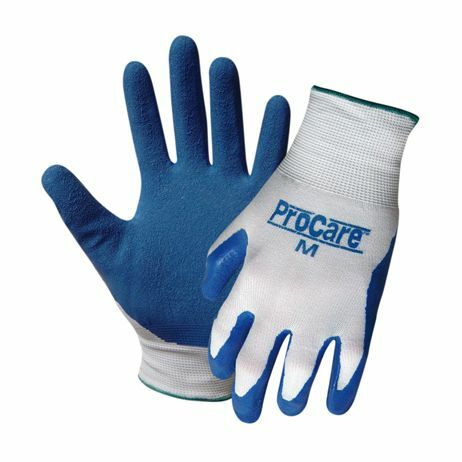 ProCare™ Lightweight Palm-Coat Rubber/Sold by the dozen. ProCare™ Lightweight Palm-Coat Rubber Super wet and dry grip for a large assortment of general purpose applications, such as material handling, and metal parts. Knitwrist. Sold per dozen .